Minnesota’s first field-to-glass distiller, Far North Spirits produces spirits from grain grown on their own land in the far northwest corner of the state. 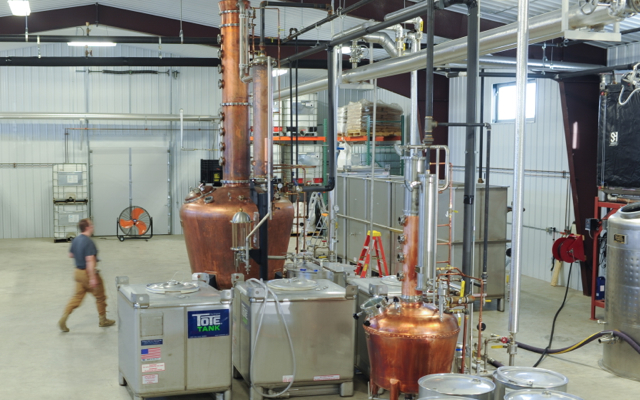 ALM Design Studio was asked to help design the distillery with a sustainable approach that fit the company’s uncompromising process and product. Starting with a standard metal build, we worked with the client to refine production workflow and storage, orient the structure to maximize daylight, and do a thorough code analysis. Plans have also been made for an innovative grey water irrigation system and opportunities for heat recapture during the distillation process.